Our favorite singing alien now has his own signature dessert at Cosmic Ray’s called the Sonny Eclipse Dessert! 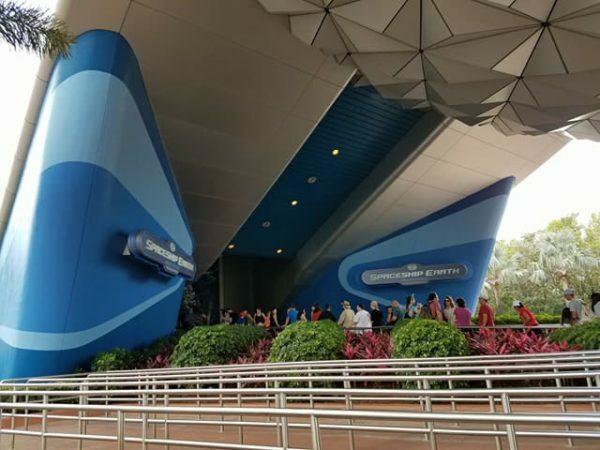 We brought you the news last week that Cosmic Ray’s had undergone a menu change, separating out their lunch and dinner offerings. Old favorites have been removed like the Falafel Burger, Barbecued Pork Sandwich, and Triple Chocolate Cake. But we do see new items have been added in like the BBQ Pulled Pork Platter at Lunch, Barbecue Ribs at Dinner and the new Sonny Eclipse Dessert. The Sonny Eclipse Dessert is made of cookies and cream similar to an Oreo cheesecake topped with chocolate drizzle, “Galaxy” sprinkles, and an edible white chocolate picture of Sonny Eclipse. It should be no surprise to anyone that these desserts are not made fresh to order but have been previously frozen and then semi-thawed before being served. I would suggest giving yours some extra time to thaw in order to enjoy it more. One other interesting thing to note is that Bay 2 at Cosmic Ray’s is now exclusively handling Mobile Order Pickups. This is great to know when you are wanting to save some extra time and avoid the lines!